A great way to reach more potential clients and build an audience is to use social networks such as Facebook and Twitter. 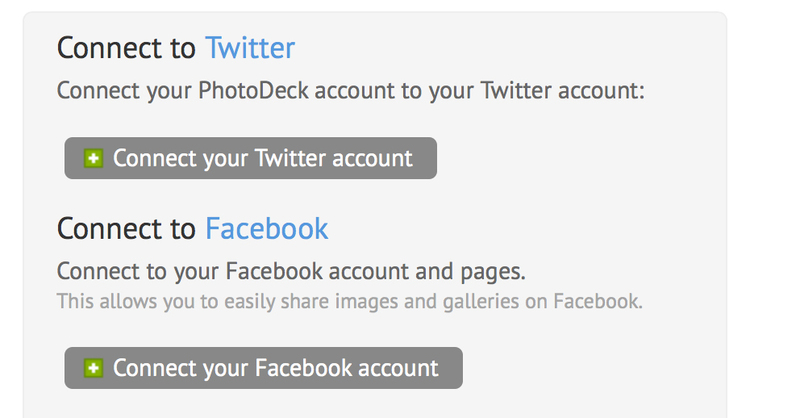 With PhotoDeck you can easily connect to these accounts to automatically share new public images. Head over to ME / My Profile and visit the Advanced to connect to your accounts. Click on "Connect to your account" for the desired social network and log in using your password. 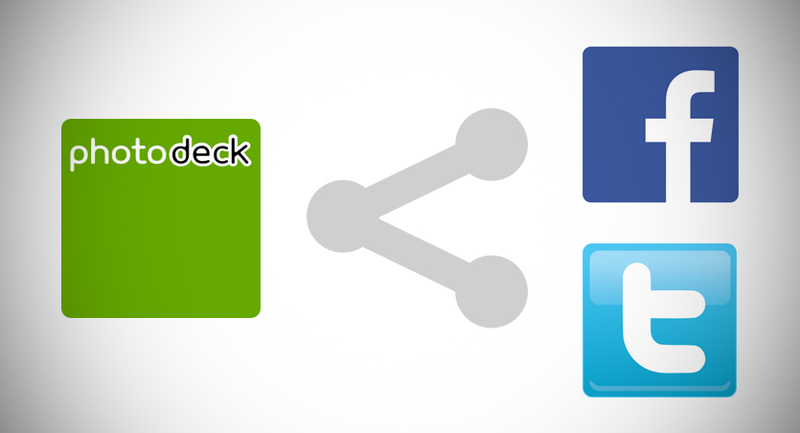 Once you're connected, you may want to enable automatic sharing to your pages or accounts. Check the appropriate checkboxes, and don't forget to save your changes. You can also customize the message that is automatically displayed to your followers. The default is "10 new images added to my website today", but maybe you can come up with something attention-grabbing specific to your audience. Lastly, remember to set up a time of day for your posts to be created. Only public images are shared to your social networks, so files in your private client galleries remain safe.